Congratulations to our nominees, and good luck! Winners will be notified in the spring. 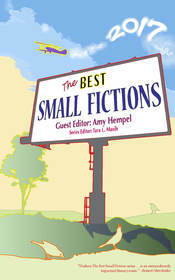 If you’d like to find out more about the Best Small Fictions anthology, visit Braddock Avenue Books.